Why choose us? * Genuinely low direct-from-the-manufacturer prices across our entire range! * Unbeatable range of styles, fabrics and colours. * Choose at home, for the perfect colour match for your carpets, furnishings and decor... all in your own lighting! * Our 5 Star Service includes free measuring... fast delivery... expert fitting... and as much helpful advice as you wish. Welcome to our website At Thomas Gilbey Interiors we supply and fit virtually every type of blind imaginable, in every fabric or colour you’re ever likely to want... all at superb value-for-money prices, plus a range of mouthwatering special offers are often available. Comparing like-for-like, nobody beats Thomas Gilbey Interiors when it comes to sheer value- for-money... the combination of quality products, highly competitive prices, and top flight customer service, plus the peace of mind you get with a 10-year guarantee. You might also like the fact that we offer the area’s biggest blind choice - by far. Whatever you want, we’ve got it! Choose at home Call or email us any time to make an appointment, and we’ll bring our mobile Blind and Curtain Studio right to your home or business - any day, evening or weekend. We cover a large area from our base in Salford Priors including Evesham, Pershore, Broadway, Moreton-In- Marsh, Stratford Upon Avon, Bidford on Avon, Alcester, Shipston-on-Stour, Redditch, Solihull, Henley-in-Arden, Warwick, Leamington Spa, Worcester, Cheltenham, and any town or village in between. See the latest styles with no obligation. Advice is free, measuring is free, and expert fitting is free too! Which? Trusted trader Thomas Gilbey Interiors are proud to announce that we are now a Which? 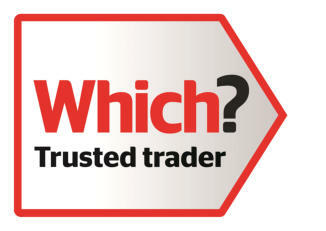 Trusted Trader, having recently passed a rigorous assessment that recognises reputable and trustworthy traders. You can view more details about our Which? Trusted Trader accreditation on our About Us page.